Will Cochrane, code named Spartan, was the best of the best in the British intelligence service. After being wounded in Central Park during an operation gone bad in which he lost the informant he swore to protect, Will was rescued and subsequently treated by members of the US Central Intelligence Agency. Will discovers that the CIA man who interrogates him, Patrick, had dealings with his handler Alistair as well as his father, a CIA operative killed in the line of duty. Patrick tells Will that the NSA has intercepted communications implicating Iran in a major terrorist operation to take place either in Great Britain or the United States and asks for Will's help in thwarting it. An Iranian operative, code named Megiddo, is responsible for planning and carrying out the attack. Megiddo is very good, perhaps the equal of Spartan, and no photographs have ever been taken of him. However, Megiddo was active in the Balkans during the war in the 90's, so Will travels there to meet with the current MI6 station chief for help. Ewan, head of Sarajevo station, met with Will and filled him in on his agent Harry Solberg, code named Lace. Harry had worked with MI6 since the early 90's and had a pretty wide intelligence network, often gaining intel that would be almost impossible for other British sources to garner. Better yet, he had been around when Megiddo was operating in Bosnia and was Will's best avenue for identifying and capturing him. Harry tells the two British intelligence officers of a woman named Lana, now living in Paris, who was rumored to have had a love affair with the Iranian. Minutes after meeting with Harry, Ewan is gunned down on the streets of Sarajevo, the victim of a sniper's bullet. Will travels to Paris in order to recruit Lana, and is immediately struck by her beauty. Even though she had to be in her 40's, Lana still possessed the elegance and beauty of a much younger woman. Finding out that Lana was a jilted lover and out for revenge on the man who had unceremoniously left her without so much as a good-bye, Lana agrees to help Will find and identify Megiddo. Will is encouraged because Lana may be one of the only non-Iranians alive that could identify Megiddo. With the operation in place, Will returns to Bosnia and sets up Lana as the bait. All that remained was for Megiddo to take the bait and fall into Will's clutches. No operations ever go entirely as planned. Add to that Will's increasing feelings for Lana and concern for her safety and Will is left scrambling to keep up with Megiddo. In fact, it seems Megiddo is always one step ahead of Spartan, Britain's top spy.Also, Will learns that he and Megiddo share a part of the past previously unknown to him, giving Spartan even more incentive to bring Megiddo down. With the bodies piling up from Bosnia to Germany to New York, Will comes ever closer to Megiddo and his lunatic plan of genocide. 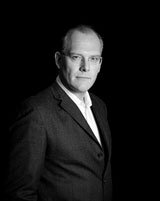 Matthew Dunn spent years as an MI6 field operative working on some of the West’s most clandestine missions. He recruited and ran agents, planned and participated in special operations, and operated deep undercover throughout the world. In Spycatcher he draws on this fascinating experience to breathe urgent, dynamic new life into the contemporary spy novel. Featuring deft and daring superspy Will Cochrane, Dunn paints a nerve-jangling, bracingly authentic picture of today’s secret world. It is a place where trust is precious and betrayal is cheap—and where violent death is the reward for being outplayed by your enemy. Will’s controllers task him with finding and neutralizing one of today’s most wanted terrorist masterminds, a man believed to be an Iranian Revolutionary Guard general. Intending to use someone from the man’s past to flush him out of the shadows, Will believes he has the perfect plan, but he soon discovers, in a frantic chase from the capitals of Europe to New York City, that his adversary has more surprises in store and is much more treacherous than anyone he has ever faced—and survived—up to now. 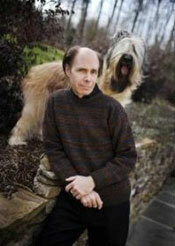 The author of 22 novels, including Carte Blanche, Jeffrey Deaver has been nominated for six Edgar Awards from the Mystery Writers of America, an Anthony award, a Gumshoe Award, and is a three-time recipient of the Ellery Queen Reader's Award for Best Short Story of the Year. Jeffrey Deaver: Matthew, why did you choose to write under your own name and not a pseudonym? Isn’t that what most people who’ve written about espionage work have done? Are there risks to using your own name? Matthew Dunn: When I was a spy I always operated under completely different identities. At the beginning of every mission, I felt like an actor taking to the stage on the first night. Though an actor can take off his or her costume at the end of the night, often I could not do so for months and in some cases years. I decided to write under my own name for three reasons: First, I wanted to do something that had my real name attached to my work. Second, I felt my readers deserved to know who I really am. And third, I felt it would be cowardly to hide behind another name since I am no longer a spy. Yes, there are severe and immediate risks, and I’m conscious of them every day. But I’ve chosen those risks. If a team comes for me, I’ll deal with it. JD: What kind of man or woman makes an ideal field officer—one who runs agents? MD: There are many quantifiable traits – intellect, skills in lateral thinking, a gregarious personality (deployed in exact moments), an unwavering belief that anything is possible, the ability to manipulate, ruthlessness, compassion, leadership, the ability to make rifle-shot decisions, and tremendous courage. But ultimately MI6, the CIA, the French DGSE, the Russian SVR (the successor to the KGB) and Mossad – that is, the truly “global” intelligence services – recruit a particular breed of animal to work as an agent, and one knows that animal when one sees her or him. That person is simply different from everyone else. If you are a good field officer, your agent (i.e. the foreign national you’ve recruited to spy on his country) will trust you with his life. He won’t risk execution by working for just MI6 or whatever institution you represent – he’ll do it for you. JD: How autonomous does a field officer have to be? And is operating solo an advantage in the world of intelligence and espionage? MD: Intelligence officers are lone wolves. It’s vital that they don’t make themselves visible. One can’t get the best intelligence by using a sledgehammer approach. To that extent, there are no “superior forces or big guns” when you’re in the field. Your country’s army, navy, and air force are the inferior forces that are liable to get it wrong. And that means you can’t trust or use them. But if you mess up and get caught, you will die. JD: Can you describe the operation for which you were awarded an unusual, special commendation by the British government? MD: I can, but I won’t. JD: Good call. If you had answered, maybe I'd have found one of those red laser dots on my forehead… If there's one vital lesson to be learned in foreign intelligence training, what is it? MD: Mind-set is key. An MI6 officer believes that he or she can achieve anything and very often that self-belief is justified. MI6 is far and away the best intelligence organization at encouraging that outlook. As a result, and based on what it has achieved, it is without doubt the best intelligence organization in the world. JD: What do you mean when you say, “When a gun comes out on a deep-cover mission, it’s the worst thing that can happen?” Talk a bit about the physical aspects of espionage. MD: Officers are typically trained to use guns in tight, urban situations, to deploy highly aggressive and effective unarmed military combat techniques, and to do whatever is necessary to get out of a situation. But the primary role of a spy is to collect intelligence. When guns are deployed – certain direct actions excluded – something has gone wrong. Even when things have gone wrong, many good spies would prefer to die and maintain the integrity of the operation than to pull a weapon. No good intelligence comes out of a fight or torture; these actions only result in the pleadings of a man who wants to live. Morality aside, the CIA’s use of water boarding made men say anything to keep from drowning. Saying anything, or even providing “good information,” is a million miles away from providing intelligence, (i.e. something that is most certainly not public knowledge). For that reason and to their peril, the British learned that torture was ineffective in the Boer War. Guns and torture are anathema to intelligence-gathering activities, but they are also bedfellows. JD: Is it hard for retiring foreign-service officers to adapt to private life? MD: Most people who leave are achievers. They get jobs in the top ranks of industry, commerce, government, or maybe some place similar in the arts. But all of us struggle. We are trained to believe that we are better than everyone else when the reality is that we are not. We’ve simply seen different, odd things and had to do a job that requires inordinate self-belief. It’s taken me ten years to adjust to not being a spy. I’m still adjusting. JD: What about the service do you miss? MD: I miss the friendships I had with my foreign agents. They would do the most unbelievably brave things for me, but would always be aware of the danger they were in and their own mortality. I respected them and loved them more than MI6 or anyone else, and that is how it is supposed to be. My agents were my family. We laughed together in one-on-one meetings in swanky hotels and war-zone ditches. We cried together. I held their hands and told them to be brave. I watched the fear and defiance in their eyes as they went back to their tasks. But I was never Matthew Dunn. I was someone else even if the emotion was real. I miss my agents, but they don’t miss me because they never knew who I was. I regret that more than anything. Unpredictable agent Will Cochrane must catch the world's most wanted international terrorist mastermind, who was responsible for the death of his father in Iraq twenty-five years ago, and avert an attack the likes of which the world has never seen.